RS: How long have you been making latte art and what made you start? I am doing latte art from four years before. It had responded to many visitors' request at the Italian restaurant which I was committing. I am working in the dog cafe of Tokyo now. Of course, latte art is also drawn and things are cooked. 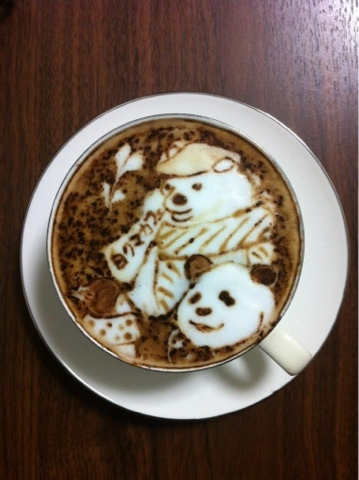 I appear also in a TV program, draw latte art at a party, or am working broadly in Japan. In this way, I also get the people of a distant foreign country to see, have been doing latte art, and think that it was good. I drew my first latte art in 2009 at an Italian restaurant I was working at. The first character I drew was Japan’s national character, Isono Katsuo. Presently, I have drawn more than 500 varieties of latte art. 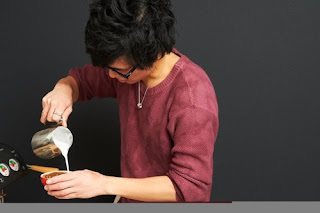 In 2011, the latte art I had drawn up until that point become popular on the internet, and in the summer of 2012, due to the support of fans, I held an exhibit called “Blue Sky Latte Art” in Dotonbori, Osaka. There were even announcements for it online, and it turned out to be a huge success. Now, I am known by overseas users, and my work is featured on TokyoOtakuMode as well as internet news sites both inside and outside of Japan. In the winter of 2012, I also appeared on the TV program “Star Draft Kaigi”. My current goal is to own my own mobile cafe so that I can bring smiles to people all across Japan. 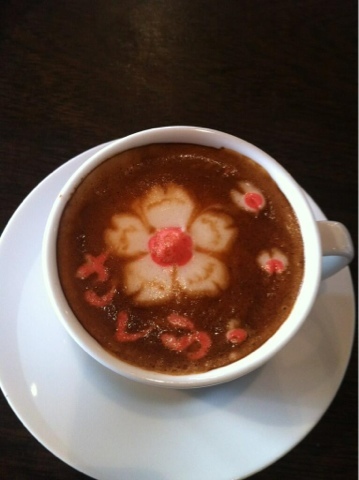 I moved from Osaka to Tokyo and I am beginning my career as a latte artist while going to various events.